It’s been a crazy week and I was in the mood for a simple, just-wing-it kind of project this afternoon. 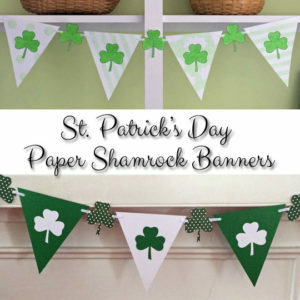 I bought several 1/2 yard cuts of St. Patrick’s Day fabric a couple weeks ago and pulled them all out to make a simple table runner. No planning, no Excel spreadsheets, no quilting, just easy. I fiddled with the strips until I had an order I liked and sewed them all together with 1/2″ seams, then pressed the seams open and squared up the edges. I layered the pieced top and one more 1/2 yard cut right sides together, trimmed the backing to match, and sewed them together leaving one end open. Turned the whole thing right side out, hand stitched the open end closed, gave it one last press and I was done! Quick, easy and I love the bright greens. Very cute! (and very green) And, yes, I did make something this weekend. I actually managed to get two dresses for Wren done from start to finish Mind you, they are only a size 4, and no zippers or buttons, so not a lot of sewing, but for me to have that much time to spare is very rare indeed. It was my one weekend with no essay writing. I don’t know how you find the time. Good for you! I haven’t tackled garment sewing in ages. The Hubs jokes about being a crafting widower enough as it is. He goes and does his photography thing on the weekends and I sew. Works out well for everyone! This is lovely! You found some really great patterns! I was pleasantly surprised at the selection at my local Joann’s. They’ve had some really nice holiday fabrics lately! This makes me want to run to the fabric store and get some seasonal fabrics! Looks easy enough for a novice sewer like myself. Visiting from Made By You Mondays party. So pretty! 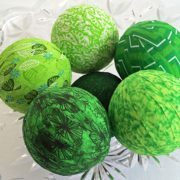 I love the variety of patterns all appropriate for St. Patrick’s Day. This is exactly what I was looking for! THANKYOU! This is fantastic! I love a simple sewing project that dresses up my home for holidays! Thanks for the tutorial! Such a cute table runner. Thanks for sharing your talent. Looking forward to seeing your banner! I usually decorate our mantle for holidays but the two rubber plants that live on the hearth over the winter have completely taken over the space. Time to permanently install some hooks over my craft room window seat so I can decorate that instead. A really good friend made me a table runner for Christmas a few years back, and since then, I’ve been looking for a simple version to make for the different holidays. Thanks for posting! Thanks, June! This is by far the simplest runner I’ve made so far but it’s one of my favorites. I just love the colors.